In addition to maintaining our bikeshare fleet, we also provide free repair services to the Tufts community. 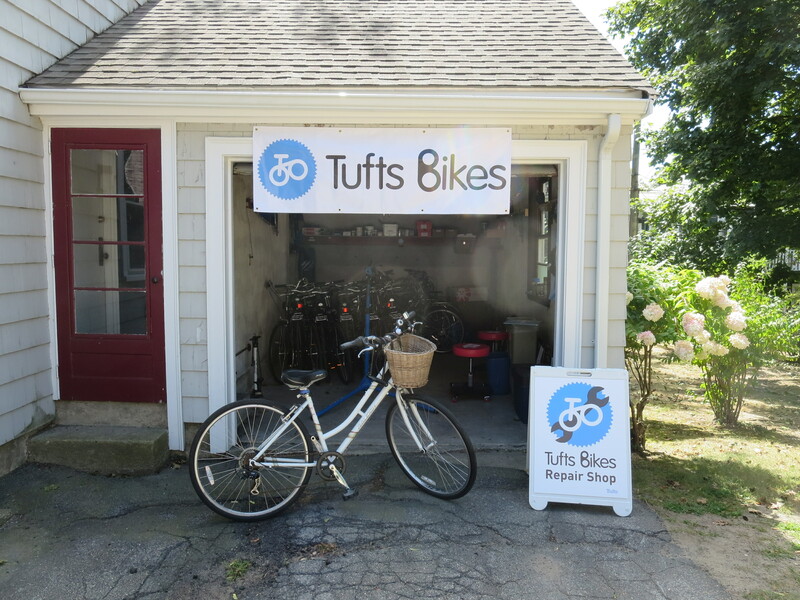 Bring in your bike during our mechanic hours, and a Tufts Bikes student mechanic will help you fix it. You can also drop by our shop to learn repair skills, ask questions, and make new friends! If you prefer to do your own repairs, you can also stop by during mechanic hours to use our tools. Our mechanic hours vary by semester, and are listed in the Mechanic Hours tab. Yes. It’s because we’re volunteer-run. If you like us, leave us a review on facebook! If you want to help support us, get involved! Please note, however, that we have a very limited supply of replacement parts, so if you need specific parts, you might have to buy them yourself. When our shop is closed, you can also check out our outdoor fix-it stand on the Campus Center upper patio to adjust your bike yourself!